Magnethi Travel Group SL is a fully legal Spanish registered Travel Agency (CIAN: 296984-4 & VAT: B-93569432). 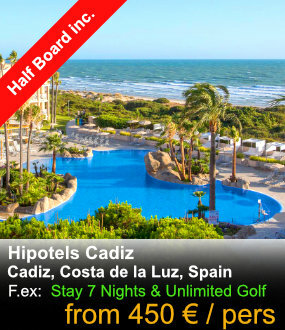 Owned by Finnish/Danish couple Heidi and Erik Magnethi Dalgaard, who have turned pasion into lifestyle selling Golf Stay & Play Holiday Packages in Spain and Portugal. Heidi is Director of Magnethi & GolfatM, and has been working in the Tourist business for more than 30 years, as Destination Manager, Resort Manager, Hotel Manager, Service Manager all over the world from Mexico, Cuba, Portugal, Austria and many other destination, but the last many years been living and playing Golf in Spain, giving you the absolute best services, offers & advise available.